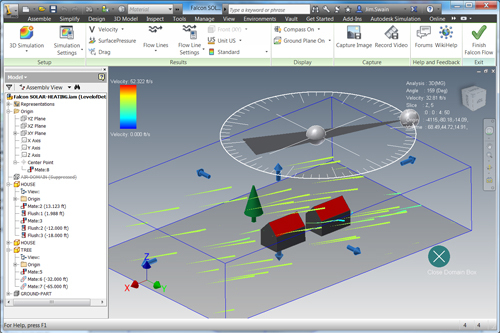 In my last posting I had fun with a technology preview on the Autodesk Labs site called Project Falcon. 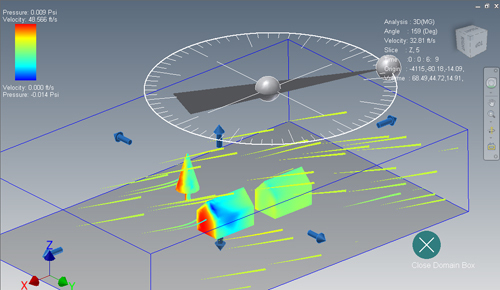 I used this wind tunnel simulation tool to check the drag coefficients on a couple of pine wood derby car shapes: http://www.pinewoodderby.org/. A couple of things have happened since then which are having me go back and look at Falcon again. The first was Sandy. You can use whatever prefix you want for that storm, I am not looking for suggestions. Our family was very lucky, especially with my son going to school in Hoboken. He got to experience wind tunnel effects right there in his dorm! 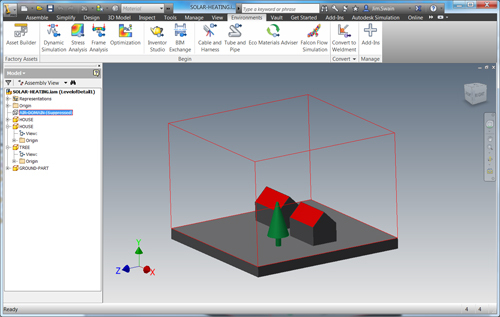 In December add-ins were released for Inventor, Revit and AutoCAD. Getting started is easy, just go to the ‘Getting Started’ page. I suppressed the sample’s enclosing box and changed the units to feet. And before anyone complains, I agree the model looks like it is out of a game. But it was already waiting for me on my system so I went with it! 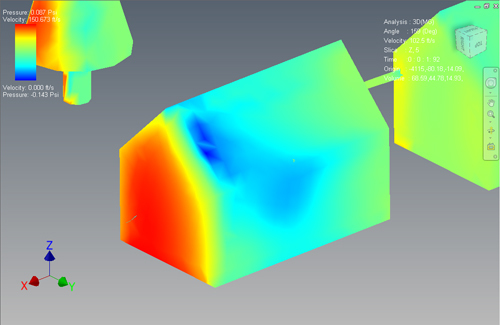 In the Environments tab I had a new icon for Falcon Flow Simulation. Clicking on that launched Falcon right there in my Inventor session. Right away I noticed two things: the Ribbon interface is very easy to navigate, and the flow direction can only be controlled in the XY plane. And here I’ve turned on the pressure results display. That 0.009 psi reading seems small, but that wall has an area of about 256 sq. ft., so about 330 pounds of force with just a 35 mph wind. When I cranked the wind up to 70 mph the pressure jumped to 0.083 psi and the force on the wall is now over 3000 pounds. 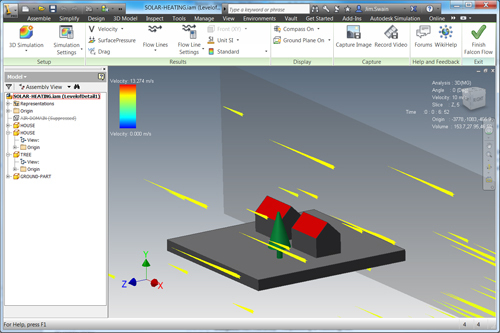 And the vacuum on the roof, shown in blue, is now 0.145 psi. If that was a 20 sq. ft. area the lifting force could be as high as 4000 lbf. Ouch! Not bad set of results for about an hour of exploration. Now I have to get the Revit folks in the office to give it a try! 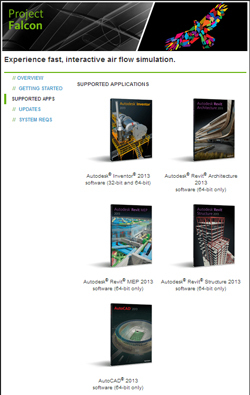 Thanks for helping to spread the word about Autodesk Flow Design.